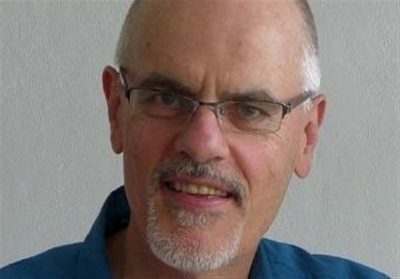 “Iran’s role remains vital, in diplomacy as in support for the long-suffering Syrian military,” Professor Tim Anderson, a lecturer at the University of Sydney, said in an interview with the Tasnim News Agency. Anderson: The agreement between Russia and Turkey over Idlib is a temporary diplomatic move, designed to give President Erdogan a chance to prove his goodwill, and to head off planned aggression from the NATO powers (the USA, UK, France and of course Turkey). The mid-October deadline set for creating a buffer zone to prevent armed group attacks on Latakia and Aleppo has long gone. The other major objective was to reopen major road traffic across Idlib between Aleppo, Hama, and Latakia. There is no sign of this yet. 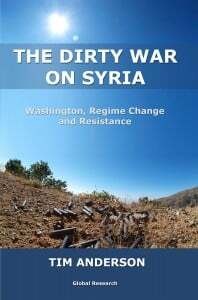 The Russian leadership is putting a more hopeful face on the flagging agreement than the Syrian leadership, but both have recently stressed that, if there is little progress on the Russia-Turkey Idlib agreement, and if the ceasefire violations continue, they will liberate Idlib by force. The Syrian and Russian ambassadors both made this clear at the UN Security Council, and President Putin has repeated that commitment. The Syrian leadership does not trust Mr. Erdogan at all, but they have the advantage of two major allies who can still speak with him. The al-Qaeda led groups, for their part, have rejected the agreement and have violated the ceasefire several times, with attacks on adjacent areas. Recently, several people were killed in Aleppo. So it is really just a matter of time before Russia and Iran back a Syrian move to liberate the entire province. One risk has been that the armed groups have been re-supplied; on the other hand, fighters have been buying their way out of the trap and escaping into Turkey and Europe. The diplomatic advantage of the Idlib agreement is that, if Mr. Erdogan fails to deliver on his word, the capacity of Turkey to resist the final move will be weakened. Tasnim: A four-way summit on Syria recently ended in Turkey’s Istanbul without any major breakthrough. In a joint communique following their meeting, Turkish President Recep Tayyip Erdogan, German Chancellor Angela Merkel, French President Emmanuel Macron and Russian President Vladimir Putin called for “an inclusive, Syrian-led and Syrian-owned political process” and said conditions needed to be created for the safe and voluntary return of refugees. The comments came as the summit was not attended by any Syrian groups. What do you think about the summit? Anderson: Each successive external agreement, including the UNSC resolutions, the Astana process and the recent four-party meeting in Turkey, has stressed a Syrian-led process and respect for the territorial integrity of Syria. That increases the difficulty of Turkey maintaining their current military posts in Idlib. They are left with the ‘Kurdish card’; having always seen Turkish Kurd separatists as behind the much smaller group of Syrian Kurdish separatists. They are right on this. However, despite the Syrian Kurds’ naïve reliance on US support, they have also been in discussions with Damascus. Assurance of a Kurdish place in Syria’s constitutional discussions, and allowing the Syria Arab Army into previously YPG held areas, could help Turkey disengage from Idlib. As for the recent talks in Turkey, which included Russia, Germany, and France, we cannot say that there is much new in substance. However, it is symbolically important that European states, which have assisted the anti-government armed groups, are now effectively linked into the Astana process without the presence or permission of the mastermind of the regional aggression, the government of the USA. Washington had previously refused observer status at Astana, so this is yet another measure which excludes the key external aggressor from the regional peace process and which opens the possibility of a more independent European stance. At the recent UNSC meeting, the US, UK, and some Europeans did try to demand a UN-driven constitutional committee for Syria. However, Syria, Russia, and others seem to have successfully countered that the UN’s role should remain as a facilitator of that process, not a controller. That, of course, is consistent with all the agreements which have demanded a ‘Syrian-led’ settlement. Astana remains the main road to a UN-sanctioned settlement; all the progress in recent years has come from these talks. Tasnim: Iran, Russia, and Turkey – the three guarantor states of de-escalation zones in Syria – have held several rounds of peace talks in Kazakhstan’s Astana and elsewhere to help end the conflict in the Arab country. The fourth round of those talks in May 2017 produced a memorandum of understanding on de-escalation zones in Syria, sharply reducing fighting in the country. What is your assessment of the parallel talks between the three countries on the Syrian crisis and Tehran’s role in the peace process? Anderson: It is quite true that the Astana talks have helped de-escalation, and indeed (alongside the Syria-Russia-Iran military victories) they have also helped the Syrian ‘reconciliation’ process, which includes surrenders and amnesties. It is the case that the fighters in Idlib now include many who rejected earlier amnesties, but that helps underline why the diplomatic process remains so important. The more these gangs are isolated, the less likely they are to be able to resist a rapid assault. We saw how quickly the ‘southern front’ collapsed after Washington withdrew its support. That group had the advantage of supply from and safe havens in Jordan and the Israeli-occupied Golan Heights. However, when President Trump abandoned them, both Jordan and Israel immediately followed suit. That really did show who was ‘calling the shots’. Iran’s role remains vital, in diplomacy as in support for the long-suffering Syrian military. We can readily see the ‘fruit’ of Tehran keeping open its channels with Turkey and Qatar, and all this is despite the pathological hostility of the Muslim Brotherhood network towards Shiite Muslims. Iran generously assisted Qatar, when the small monarchy was under attack from Riyadh; and it remains a key balancing force at Astana. Despite the hostility from Israel and Washington, Turkey has been forced to recognize the Islamic Republic of Iran as a strategic neighbor and partner of substance. That swings the balance even further towards a Syrian victory, which will be of great significance for the region.